Today, at the International Astronautical Congress (IAC) in Bremen, Germany, Lockheed Martin experts revealed the company's crewed lunar lander concept and showed how the reusable lander aligns with NASA's lunar Gateway and future Mars missions. Lockheed Martin has embraced a 3-D printed titanium dome for satellite fuel tanks so big you can't even put your arms around it. One of NASA's two new Discovery Program missions, Lucy will perform the first reconnaissance of the Jupiter Trojan asteroids orbiting the sun in tandem with the gas giant. 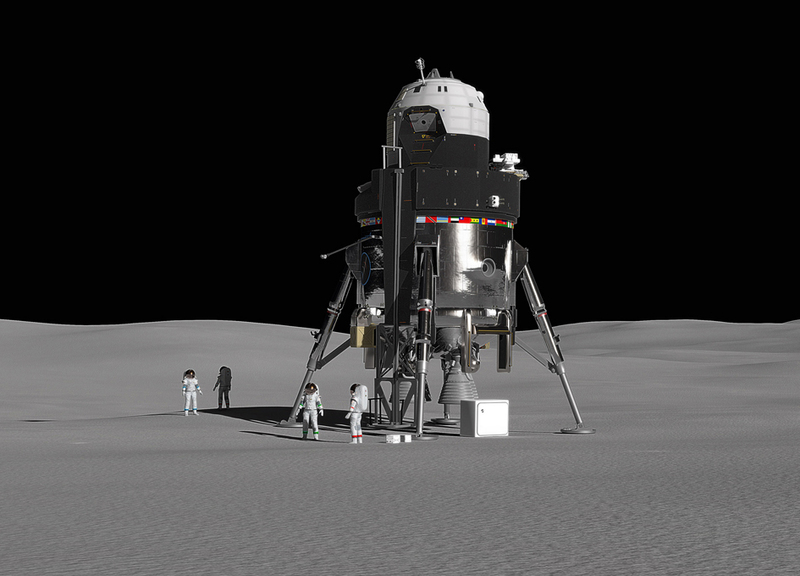 The Lockheed Martin and NASA Orion team has secured the 2,700 lb. Exploration Mission-1 (EM-1) Orion crew module into its structural assembly tool, also known as the birdcage. The Orion crew module flown 3,600 miles into space during Exploration Flight Test-1 has arrived to the Lockheed Martin Space Systems Company headquarters in Littleton, Colorado. OSIRIS-REx which stands for Origins, Spectral Interpretation, Resource Identification, Security, Regolith Explorer is going to Bennu, a carbon-rich asteroid that could hold clues to the origin of the solar system and host organic molecules that may have seeded life on Earth. There are three technologies behind Lockheed Martin's proposal for NASA's Commercial Resupply Services 2 (CRS-2) program. Lockheed Martin (NYSE: LMT) has completed the acquisition of the assets of the Astrotech Space Operations business of Astrotech Corporation. Lockheed Martin Corporation (NYSE: LMT) today reported second quarter 2014 net sales of $11.3 billion, compared to $11.4 billion in the second quarter of 2013. 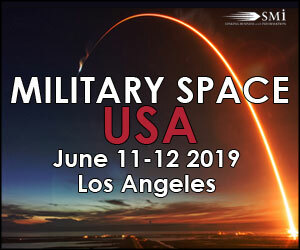 Lockheed Martin [NYSE: LMT] is opening a space technology office in Great Britain to explore partnership opportunities with UK businesses and universities to support the UK's goal of maintaining and growing its national capabilities in space. Forming part of Lockheed Martin's expanding business footprint in the UK, the office will be based at the UK Space Gateway in Harwell Oxford. Lockheed Martin (LMT) appointed John Rood vice president for domestic business development and operations, succeeding John Ward, who announced plans to retire effective Aug. 1. Rood's appointment is effective June 23. Lockheed Martin to Acquire Deposition Sciences, Inc.
Lockheed Martin (LMT) has entered into a definitive agreement to acquire Deposition Sciences, Inc. (DSI), a provider of thin film coatings. Following the completion of the heat shield installation, Lockheed Martin has stacked the Orion crew module atop of the service module. The stacking took place inside the Final Assembly and System Test (FAST) cell inside the Operations and Checkout facility at Kennedy Space Center. 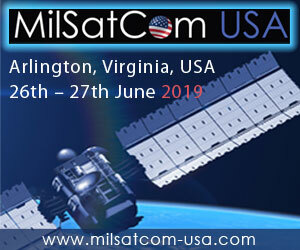 All partner nations are now using the Advanced Extremely High Frequency (AEHF) protected communications satellite system after the United Kingdom connected earlier this year. Four nations will use the Lockheed Martin (LMT)-produced [NYSE: LMT] satellites for their most important transmissions, from commanders-in-chief to troops in the field. Debris from space collisions. Spent rocket stages. Dead satellites. Numbered in the tens of thousands, these and other fast-moving "space junk" orbiting the earth can be lethal to spacecraft and satellites in their path. Lockheed Martin [NYSE: LMT] completed the propulsion module for the fourth Space-Based Infrared System (SBIRS) Geosynchronous Earth Orbit (GEO-4) space vehicle and is now proceeding with satellite assembly, integration and test. SBIRS provides our nation with continuous early warning of ballistic missile launches and other tactical intelligence. 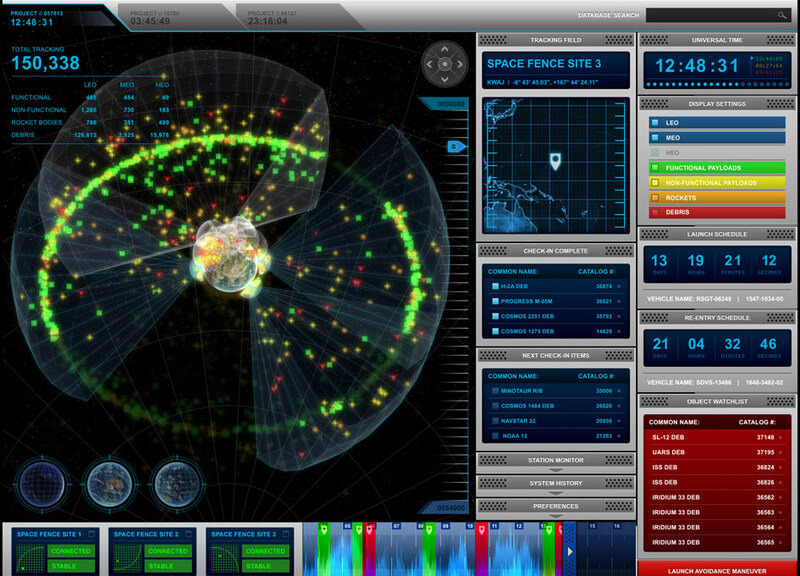 Analysis of Mobile User Objective System (MUOS) satellites during the U.S. Navy's 2014 Ice Exercise (ICEX) shows they provided nearly 150 hours of secure data connections. This was the first time military users could transfer large megabyte data files over stable satellite connections in the arctic. Lockheed Martin Corporation (NYSE: LMT) today reported first quarter 2014 net sales of $10.7 billion, compared to $11.1 billion in the first quarter of 2013. Net earnings in the first quarter of 2014 were $933 million, or $2.87 per diluted share, compared to $761 million, or $2.33 per diluted share, in the first quarter of 2013. Cash from operations was $2.1 billion in the first quarter of both 2014 and 2013. The National Aeronautics and Space Administration (NASA) recently awarded Lockheed Martin (LMT) a one-year contract extension on the Cargo Mission Contract 2 valued at $22 million. Lockheed Martin Commercial Launch Services (LMCLS), a wholly-owned subsidiary of Lockheed Martin, announced today at Satellite 2014 a new program that will either offer a 100% space launch vehicle refund or reflight in the event of a partial or total launch vehicle malfunction. Lockheed Martin expects lower revenue and sharply lower operating profit at its Space Systems division in 2014 on reduced military satellite sales and a hefty restructuring charge following the company's plant shutdowns and workforce reductions. The GPS III satellite program is expected to miss a critical deadline due to a delay of its Exelis-provided navigational payload, according to Defense Systems. However, Air Force officials have said that they are confident that it will not delay the overall constellation of Lockheed Martin satellites. Lockheed Martin (LMT) will webcast live a presentation by Executive Vice President and Chief Financial Officer (CFO) Bruce Tanner at the Barclays Industrial Select Conference on Wednesday, Feb. 19, 2014 from 9:45 a.m. to 10:30 a.m. EST. The three massive panels protecting a test version of NASA's Orion multipurpose crew vehicle successfully fell away from the spacecraft Wednesday in a test of a system that will protect Orion during its first trip to space next year. The second Mobile User Objective System (MUOS) satellite built by Lockheed Martin for the U.S. Navy is responding to commands after being launched today from Cape Canaveral Air Force Station, Fla. The Lockheed Martin-led initialization team is now commanding the satellite from the Naval Satellite Operations Center located at the Naval Base Ventura County, Point Mugu, Calif.
Lockheed Martin (NYSE: LMT) has completed and is preparing to install the navigation, communication, and hosted payload antenna assemblies for the first satellite of the next generation Global Positioning System, known as GPS III. Lockheed Martin has delivered the third of four highly elliptical earth orbit (HEO) satellite payloads contracted by the U.S. Air Force as part of the Space Based Infrared System (SBIRS). Lockheed Martin has been awarded a $166.8 million contract option from NASA for facilities development and operations at Johnson Space Center that support human spaceflight. NASA's next Discovery mission. 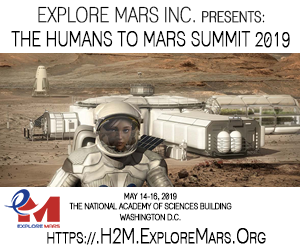 The Interior Exploration using Seismic Investigations, Geodesy and Heat Transport (InSight) mission, led by principal investigator Bruce Banerdt of the Jet Propulsion Laboratory (JPL) and managed by JPL, will make the first ever measurements of the interior of Mars, providing insight into the evolution of the terrestrial planets. Lockheed Martin Corporation (LMT) today announced a worldwide innovation contest with cash awards totaling $50,000. The Lockheed Martin [team developing NASA and NOAA's Geostationary Operational Environmental Satellite-R series (GOES-R) satellite has successfully completed the spacecraft Critical Design Review (CDR), a major milestone that paves the way for the production of the nation's next-generation geostationary weather satellite system. Lockheed Martin announced today that it has successfully mated the spacecraft bus and the imaging payload for GeoEye's (GEOY) next-generation, high-resolution imaging satellite, known as GeoEye-2.